A file system (often also written as filesystem) is the application that store and organize files and their data (content). Essentially, it organizes these files for the storage, organization, manipulation, and retrieval. depends and is implemented through what we refer as a file system. A file system is essentially a container with organized, homogenous elements referred to as file system objects. A file system provides access to file system objects. or File System - Directory. Most Operating System file systems make use of an underlying data storage device that offers access to an array of fixed-size physical sectors, generally a power of 2 in size (512 bytes or 1, 2, or 4 KiB are most common). The file system is responsible for organizing these sectors into files and directories, and keeping track of which sectors belong to which file and which are not being used. Most file systems address data in fixed-sized units called "clusters" or "blocks" which contain a certain number of disk sectors (usually 1-64). This is the smallest amount of disk space that can be allocated to hold a file. On an OS, the file system is installed on the hard disk or partition. whereas NTFS allows much longer names that can contain spaces. 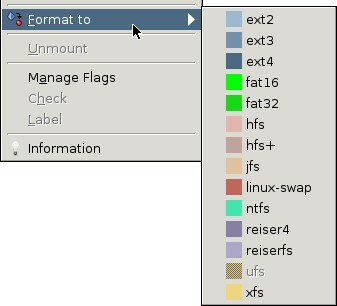 Red Hat Linux includes support for many popular file systems, making it possible to easily access the file systems of other operating systems. This is particularly useful in dual-boot scenarios and when migrating files from one operating system to another.